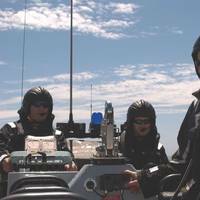 Among the most important considerations in outfitting any fast attack craft is the critical nature of crew-to-crew communications. 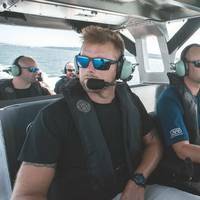 With David Clark, MetalCraft has long had that box ‘checked.’There are many obstacles facing boat manufacturers involved in the design and outfitting of patrol interceptor type vessels. This workboat segment is characterized by incessant demands for advanced design and new technology to accommodate the requirements of high performance and increasingly complex mission protocols. 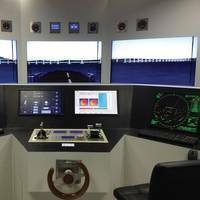 The Port of Prince Rupert has commissioned a new shore-based radar regime designed to safely accommodate the port’s growth in vessel traffic and international trade. Shore-based radar builds on the existing vessel traffic service that provides active vessel monitoring and navigational information to vessels at the Port of Prince Rupert. Transmitting data from three tower sites across the port’s coastal shores, the system provides coverage ranging from the northeast of Haida Gwaii to the Alaskan border. “The addition of radar improves the capability of the port to proactively monitor and manage vessel movement in the harbor,” said Don Krusel, President & CEO of the Prince Rupert Port Authority. Marine communications specialist Ocean Signal and VDR manufacturer AMI Marine will introduce a new float-free EPIRB with integrated voyage data recorder (VDR) memory capsule at this year’s SMM in Hamburg. 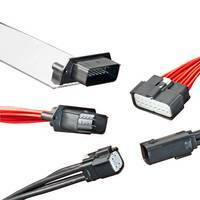 The Ocean Signal E101V provides a reliable and innovative solution for commercial vessels of 3000+ gross tonnage to store recorded data in a float-free capsule within their VDR systems, as required for compliance with the revised recommendation on performance standards for VDRs. SpeedCast International Limited, a global satellite communications and network service provider, and Beijing Marine Communications and Navigation Co. Ltd (MCN), a subsidiary of the China Transport Telecommunications & Information Centre (CTTIC), have signed a Memorandum of Understanding for Strategic Cooperation (MOU). Under the MOU, MCN and SpeedCast will form a strategic partnership by integrating MCN’s VSAT network in Asia Pacific and SpeedCast’s global VSAT networks to provide global connectivity to the maritime industry. This partnership aims to provide seamless connectivity for both MCN and SpeedCast customers wherever they are, as well as providing a wide portfolio of applications enhancing productivity, crew welfare and safety. Citing a lack of preparation, bad weather and a mechanical breakdown as three important factors, the TSB today released its investigation report (M13N0001) into the loss-of-tow by the tugboat 'Charlene Hunt' of the [passenger ship] 'MV Lyubov Orlova' in waters off the coast of Newfoundland and Labrador (NL). On 23, January 2013, bound for the Dominican Republic, the tug Charlene Hunt departed St. John's harbour towing the cruise ship Lyubov Orlova. The tug and tow travelled for approximately 19 hours, until they hit winds estimated at 40 knots and seas of 5 to 6 m.
Utility, functionality, and safety all come together in David Clark’s wireless headset communication systems. For the soon-to-come North American Offshore Wind boom, there are lessons to be learned here, from across the great pond. 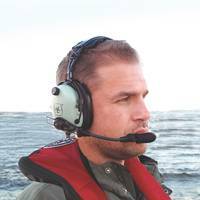 When Mantsbrite became the sole U.K. distributor of the David Clark Marine Wireless Headset Communications Systems in 2012, one of the first users was Tidal Transit, a fast growing North Norfolk company providing a new generation of personnel transfer vessels for use by offshore wind farm developers. Maritime Broadband Inc. has appointed Nordic IT as agent of the Company’s groundbreaking C-Bird™ VSAT in Germany. Nordic IT will use more than 10 years of knowledge in sales and support in the maritime industry to introduce the C-Bird™ system to their existing and new client base. C-Bird™ offers ship managers and owners a comprehensive solution with unlimited data and voice communications, providing a cost effective and unique alternative to existing systems. “Working with Nordic IT offers Maritime Broadband the very best foothold in the important German marketplace. 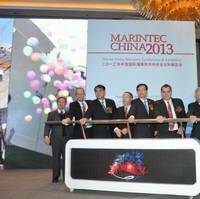 The company is extremely well respected in the shipping community in Germany. Nordic IT has over 800 vessels and shore-side users taking advantage of their optimized software and hardware solutions. Maritime Broadband Inc. has announced that Nordic IT has been appointed as agent of the Company’s groundbreaking C-Bird VSAT in Germany. Mary Ellen Kramer, CEO of Maritime Broadband, is very pleased to have Nordic IT Marine Communications (Germany) as an agent. 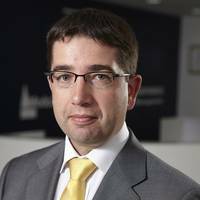 “Working with Nordic IT offers Maritime Broadband the very best foothold in the important German marketplace. 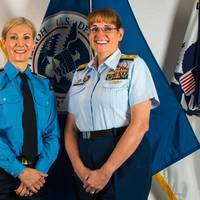 The company is extremely well respected in the shipping community in Germany. Nordic IT has over 800 vessels and shore-side users taking advantage of their optimized software and hardware solutions. 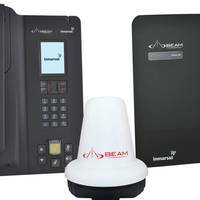 Beam Communications Pty Ltd, a wholly owned subsidiary of World Reach Limited, has entered into an agreement with Beijing Marine Communications & Navigation Company (MCN) for the supply of an initial $1M of Beam Inmarsat marine satellite terminals. 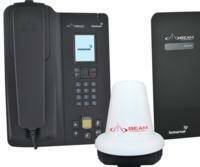 This initial order follows the trial and now acceptance of the Beam terminals after MCN committed in July 2012 to undertake a trial deploying 200 Beam Oceana 400 and Oceana 800 marine communications terminals on fishing vessels in China, using the Inmarsat FleetPhone Service. 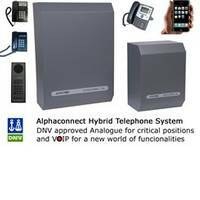 Alphatron Marine introduces the Alphaconnect Hybrid, a type-approved on board Telephone System (PABX) with integrated IP facilities. The new Alphaconnect 48/128 hybrid uses well known Alphaconnect technology in combination with cable saving IP technology to provide internal marine communications. A dedicated app is available, to allow a smartphone to integrate with the communication system on board. Iridium Communications Inc. (Nasdaq:IRDM) announces that German shipping company Reederei Werner Bockstiegel has selected Iridium Pilot(TM) to upgrade its shipping fleet with broadband communications. Globecomm Maritime, a long-standing Iridium partner, is offering Iridium Pilot as part of an upgraded "Telaurus se@COMM" communications package, and will manage the installation fleet-wide. "We're seeing a rapidly growing appetite among maritime customers to migrate from out-dated narrowband services to satellite broadband communications solutions," said Greg Ewert, executive vice president of global distribution channels at Iridium. "We are proud to expand our service to Reederei Werner Bockstiegel through our innovative partner Globecomm Maritime. As persistent high oil prices and the burden of increased regulatory compliance have rendered energy management strategy development crucial for fleet owners worldwide, the shipping industry is on the verge of a new frontier where novel concepts and sophisticated approaches to ship design and performance verification methods emerge. The world’s major ship building nations agree that a combination of a stubborn global recession and high fuel prices which affect global trade and impact newbuilding orders require innovative thinking, creative strategies and investments in R&D to create the foundations for a new generation of shipping infrastructure which will be more resilient to fluctuating heavy fuel prices and more adaptable to alternative forms of energy. "We had a great quarter in our satellite business," said Martin Kits van Heyningen, KVH's chief executive officer. "Revenue from the mini-VSAT business grew 61% compared to the first quarter last year, and unit sales increased 120%. Our mini-VSAT Broadband airtime revenue for the quarter was close to $7 million, and the related gross margin increased to approximately 28% from only 4% one year ago. "We were very pleased with our progress in winning a leadership position in the growing maritime broadband market," continued Mr. Kits van Heyningen. "In several customer-run, head-to-head competitions with many other maritime services, KVH mini-VSAT Broadband has been selected for large fleet-wide roll outs.